Hello..!! Are you an Android user? Want to try different Xposed modules for your android device? Searching for best Android Xposed modules? If you are hunting for these questions, then your search ends here. Now in this article, we are providing you best Xposed modules for android. Xposed modules for android can boost your device performance to higher level. Using these xposed modules you can access many different features which are not in-built in your android device. The xposed modules will access your device’s root permission and can make changes to internal features of your mobile. Many of the android users use different types of xposed framework modules. There are many different xposed modules available for android but not all of them are the best. So we have decided to provide you some of the new xposed modules for android versions of Marshmallow, Lollipop, Kitkat, and Jelly bean. Every Xposed module for android has special features that add to your android device. Download the best Xposed modules for your android device and you will like enjoying the features of that module give you. Xposed modules are the first search for every newly rooted android user. Android users like to try different best xposed modules on their devices. Here we are sharing cool Xposed modules for your android. Many people like uniqueness and want to use different features on their mobile which are not available on others devices. By using Xposed modules on your android you can install custom ROMs. If you have installed custom ROM on your device and wants to add new features on your rooted android device then you must try these Xposed modules on your android device. Here we are providing you steps to install Xposed modules for your android device. The installation of Xposed modules is quite simple for android users but if you have just rooted your device and don’t have knowledge about Xposed modules, then follow these steps and easily install any Xposed Framework on your device. First install Xposed Installer on your android. Now download and install any Xposed module of your choice. Search for that Xposed module in Xposed Framework menu and tick mark on it. That’s it you installed Xposed module on your android. XuiMod is the best Xposed module for android device for Marshmallow version. By using this module you can add awesome Mod in stock ROMs. 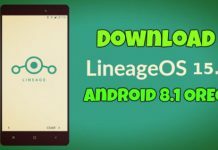 This module provides many unique features to your android device. This module is best for people who have installed stock ROM on their device and wants custom ROM features without flashing their ROM. This module not only works on stock ROM but also works on Custom ROM and able to add more features to your android device with the help of this module. Using this module you can access different awesome features on different features on different custom ROMs. This is another best Xposed module for android device. This module is used to design your status and navigation bars with different colors. In default all android device provides only black color in your status and navigation bars which was not liked by many, so here we are providing you to create new look for your device by changing status & navigation bars default color into different colors with the help of this Xposed module. This module also provides so many different features to give different style to your status and navigation bars. Gravity box is another awesome Xposed module for android. This module is mainly for android lollipop users. The gravity box module is designed for AOSP based ROMs. This module is best for AOSP ROMs because most of the features of this module is designed as default in Cyanogen Mod ROMs. This module has so many twists available in it which includes Lockscreen tweaks, Statusbar tweaks, Power tweaks, Navigation bar tweaks, phone tweaks, media tweaks and so many other cool tweaks. This module is enough cool to cover so many tweaks for your rooted android device. This module also available for different android versions and have different apks. This is another good module for android device. 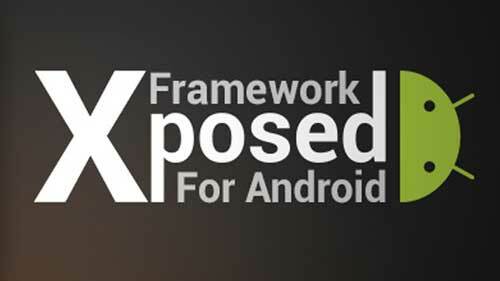 This Xposed module is available for android device for kitkat version. Using this module you can design your lock screen with awesome interface. Many of us don’t like android’s default dark overlay of lock screen and there is no other option for android to change its appearance. With the help of this module you not only able to change dark overlay of your lock screen, but also make it more clean and simple. So with the help of this module you can change your ugly dark overlay of lock screen. XPrivacy is one of the top Xposed modules for android device. This is the module which every android device user must have. This module prevents your apps from leaking privacy sensitive data. This is the best Xposed module to secure all your data from leaking by your apps installed on your device. For eg., your contacts and device location. If you can restrict access to your contacts and location, Xprivacy will send empty contact list to the apps installed on your device and show fake location to apps that needs location to work. So this is the best module to restrict access of your sensitive data from applications. This is another pretty Xposed module for android users. If your device’s battery is draining fast and you are irritated with it, then this is the best module. If you update your device to newer android versions like Lollipop, Marshmallow, then your device battery drains out so quickly. If you want maximum profit for your battery life, then this mobile is best for you. This Xposed module takes care of Wakelocks. Some apps prevent your device to entering into deep sleep and that’s why, when you change your Android fully and leave it for an hour, when you check, device’s battery is just 50% remaining. So, Amplify module allows you to stop that apps working while your device is in deep sleep. Wi-Fi pwd is another cool Xposed module for android. This module helps you in remembering passwords of all Wi-Fi networks which you have connected with your android device. After installing this module on your android device, you are free from the pressure of remembering the passwords of Wi-FI networks and stores the passwords on your android device. This is another great xposed module for android device. When you are at any dark place, then your mobile torch helps you a lot. There is a best Xposed module which can make this work easier. Using this module you no need to touch your phone screen for opening flashlight. When you install this module on your android you just long press your volume up or home button to turn ON or OFF your device torch. This is another good Xposed module for your android device. After installing this module on your device, you can control the music player of your android with the camera and the volume buttons. With the help of this module you no need to do effort for opening the music app again and again. This is another excellent Xposed module for your android device. 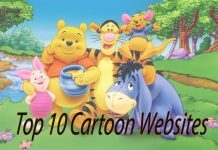 If you like watching videos on YouTube, then this is the best module for you. This xposed module ignores all unwanted ads, notices, download requests, update requests and all while you are watching videos. By using this module totally you will get rid of all types of Ads when you are watching videos on YouTube. Notify Clean is another excellent Xposed module for android. Many of us dislike seeing Notification bar full with lots of unwanted notifications, so for those Notify Clean module will come in handy. This module helps to clean up all the notifications in the notification bar with a simple and a quick tap. So now there is no need to irritate about how many notifications are popping up in the notification bar. Xblast Tools is another wonderful xposed module for android. This module is good for customization fans. This module allows you to change colors of different indicators on your device. By using this module you can choose custom colors for Wi-Fi signals, battery, network signals, keyboard backgrounds, clock and others. With the help of this module you can make your android device colorful. Greenify is another interesting Xposed module for Android. This module makes your device cleaner by identifying and stopping the apps which are running background. This module closes unnecessary apps which are not in use and helps in saving your device’s battery. This app has automatic hibernating feature which works automatically to make your android work smoother. To use this app first install Greenify app from Google Play Store, and after that tick mark on its module from Xposed modules. Swipe is another good Xposed module for android. This module allows you to go to your previous screen without pressing back button on your device. This module is easier on big screen devices interface which is easier to navigate. This app handles your back button feature and whenever you want to go back just swipe your screen let-to-right and you have reached to back screen. Well, if you found any problems in the apps which already have swipe feature in it, so we recommended to turn if Off in that type of apps. App settings are another important Xposed module for android. This xposed module is master of all apps settings, installed on your device. This module will show all settings of each and every app, such as the language, what is the DPI for rendering, what permissions they require and many more. There are more settings which you can change using this app are Font scale, Notification Priority, Hide Title Bar, DPI & Reported Screen Size, Disable Full Screen Keyboard Input, Keep Screen On while app is visible etc. Boot Manager is another Xposed module for android. There are some apps which make their settings to open automatically and whenever restart your device, and then your Boot takes much time because of these apps. These apps also waste your Battery power too by running those apps in background. You can avoid this problem with Boot Manager. All you have to do is, select the apps which you don’t want to start automatically and reboot your device. So with the use of this app it quit apps until there is no need of them, so it also helps in saving your battery life. This is another best Xposed module for android. This module is best for Marshmallow, Kitkat and Lollipop android version phones. This app has good features for people who want to do multi tasks at same time on their devices. This app enables you to play video in pop-up window while you are doing any other work on your device. 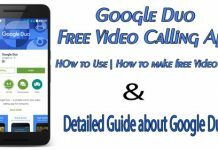 This module also suggests videos to you and can also use it on YouTube App to watch YouTube videos while you are using any other app. You can download it for free from play store. So, these are the top 17 best Xposed apps for android. If you have any suggestion please comment below. If you like this post please share on social media sites like Facebook, Twitter, Google+, WhatsApp and Pinterest. Thank you for visiting our site.